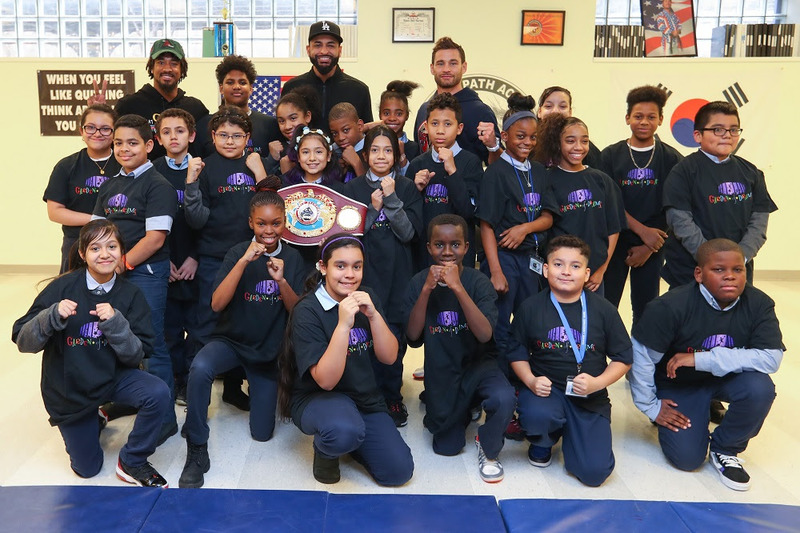 Demetrius Andrade and Chris Algieri took time out of their preparations for crucial fights on Friday night at the Hulu Theater at Madison Square Garden, live on DAZN in the US and on Sky Sports in the UK, to visit the to the South Bronx Early College Charter School with the Garden of Dreams Foundation. Andrade defends his WBO World Middleweight title against Artur Akavov while Algieri ramps up his comeback by taking on fellow New Yorker Danny Gonzalez. The Garden of Dreams Foundation is a non-profit organization that works with The Madison Square Garden Company to positively impact the lives of children facing obstacles.